Countertops/Furniture/planters - We are Buddy Rhodes applicators taking concrete to a whole different era of just granite, corion or other such materials. We can design, custom build ,install/deliver any of your residential or commercial concrete countertops, sinks, tables, stools, benches, planters and much more. 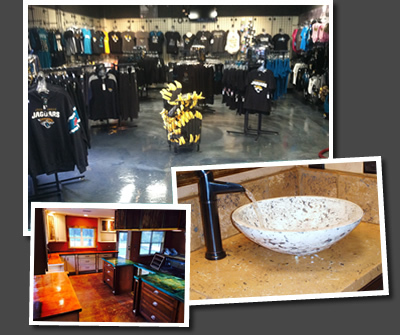 We use Buddy Rhodes products and were trained by him for quality countertops.